Cake pops are delicious, fun to eat, and a hit at parties (who doesn't love eating food on a stick?). 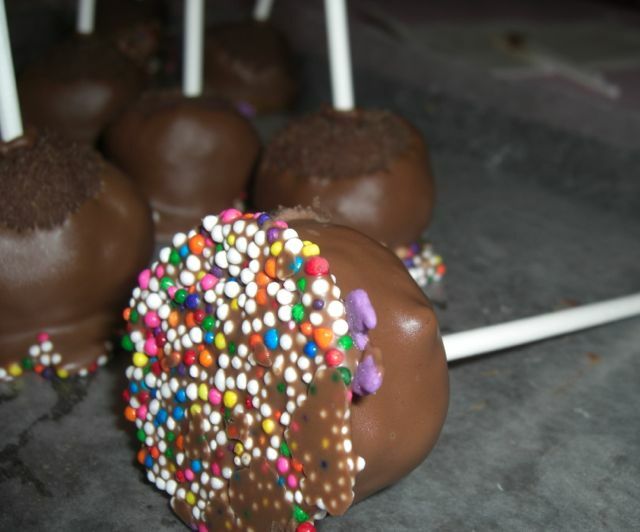 I've made them five or six times over the past few years, and each time I've been rewarded with around 50 cake pops. They are best for sharing, as that is a lot of cake on a stick! 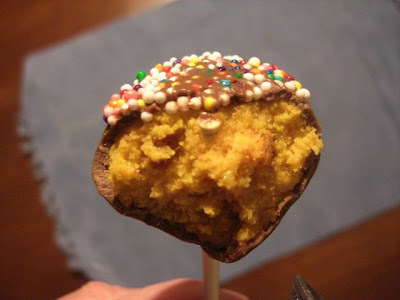 The idea of cake pops is simple: mix baked cake with icing and form into balls. Add a lollipop stick. Dip balls into chocolate or candy melts, set, and enjoy. 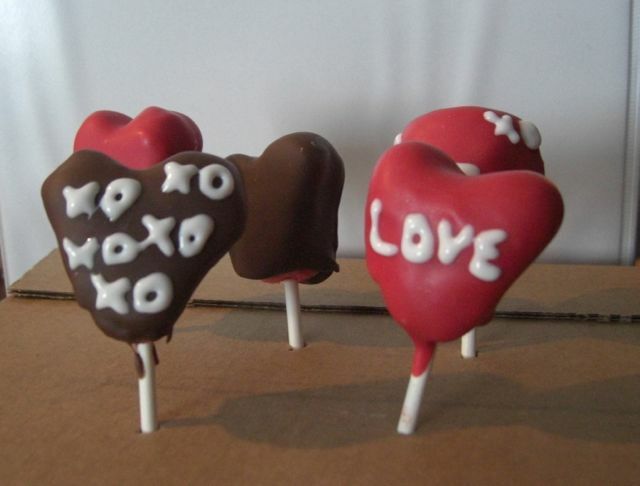 The pros can make them look like any shape, but as a cake pop amateur, I tend to sick to a plain old ball on a stick. The first few batches I made were balls on a stick + melted chocolate chips + sprinkles. Next batch, I played with the colour of the cake/icing to make them more festive inside. Earlier this year, I tried making heart shaped cake pops, and they (mostly) turned out, but it was a lot more challenging. Recently I made them again for my friend Jen's birthday. It was a team effort. I made plain ones (no sprinkles) and then she decorated them. (1) I hate making 50 cake pops at a time. 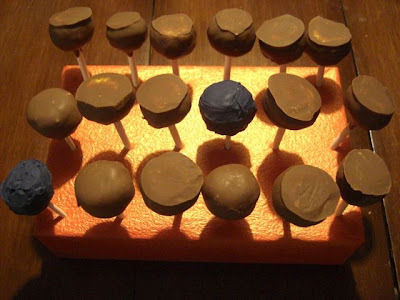 Rolling the balls is fun, but dipping 50 balls on a stick into chocolate is tedious. From now on I am only making half batches (I want baking to be fun - and 25 cake pops is still a lot of cake pops!). (2) I haven't figured out candy melts and find them really difficult to work with. Every cake pop I coat with the candy melts cracks, and I find they aren't as fluid as melted chocolate chips. 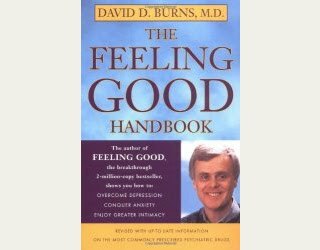 Now, obviously they work for other people, so there is just some part of the technique I am missing. Currently I'm not patient enough to learn how to make them work, so I'm giving up on using them for now. Chocolate chips do the job, so I am going to stick with them. 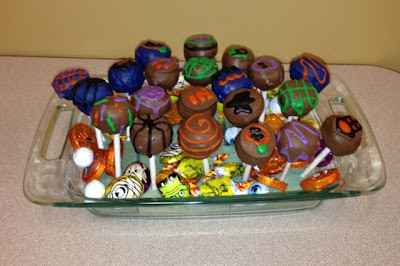 From here on out, my goal is to keep cake pops fun. They really do taste fantastic and I don't want some minor frustrations to keep them off my baking list. I can't remember for sure, but I thought that I tasted chocolate candy melts before and didn't like them. If I recall correctly. Woohoo to you on having fun. 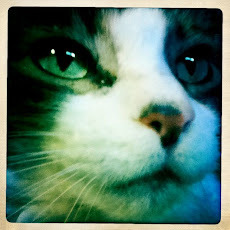 PS: Egg, cheese, ham and potato bake for us tonight. Too dark in the kitchen to take photos of the steps. Have to do this one time when it's brighter. Good for you for trying! I think fancy cake pops are a lot harder than they look. I'm sure yours tasted great!